Julia Bradbury and Matt Baker explore the area around Ben Nevis and John Craven investigates a new theory as to why millions of honey bees all over the world are being wiped out. Julia Bradbury and Matt Baker explore the area around Ben Nevis to celebrate Scotland's contribution to the natural world. They find out why East Lothian boy John Muir is credited with being the founding father of modern conservation and what is being done to preserve wild areas in his name. It may be springtime in the foothills but it is still most definitely winter on top of the mountains. The team discovers how basic survival skills can save lives and follows in the footsteps of some of the world's most intrepid mountaineers and ice-climbers who cut their teeth on the peaks around Ben Nevis. 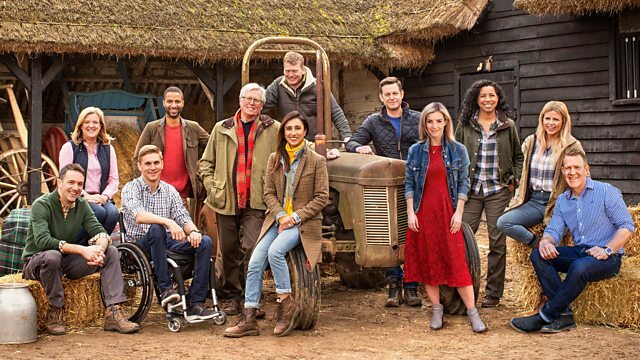 Elsewhere John Craven investigates a new theory as to why millions of honey bees all over the world are being wiped out and, down on the farm, Adam Henson is on tenterhooks as his pedigree dairy herd is testing for bovine TB. He has already lost 12 of his rare breeds to the disease and a bad result could prove disastrous. Jules Hudson is in Cumbria to find out how heavy horses are being reinvented for the 21st century. And there's the biker butcher who provides a bespoke service for farmers in Devon.